Lots of snails made it through the winter and have come crawling out of garden waste in the composting bin. Strawberry Snail (Trochulus striolatus) on the left, is one of the commonest snails in the garden, but the Girdled Snail (Hygromia cinctella) on the right is a new one for the list (#428). 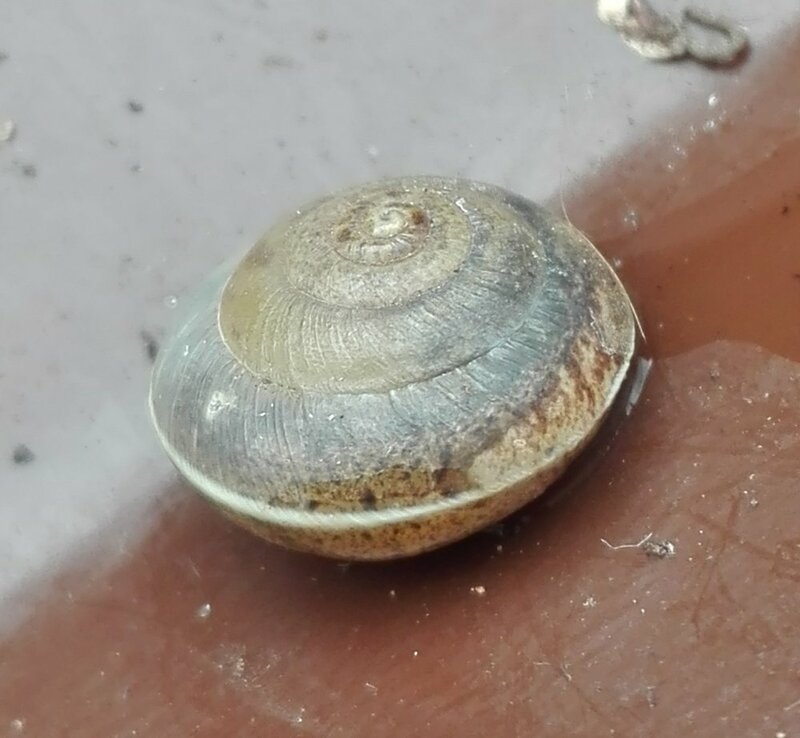 Girdled Snail has a distinctive white stripe around its keel and the shell is smoother than on the similarly-sized Strawberry Snail. It is yet another non-native species, originating in Mediterranean Europe and only discovered in UK in 1950 in Devon. From there it has slowly spread over much of the England, as it has also crawled its way across much of Central and Northern Europe.